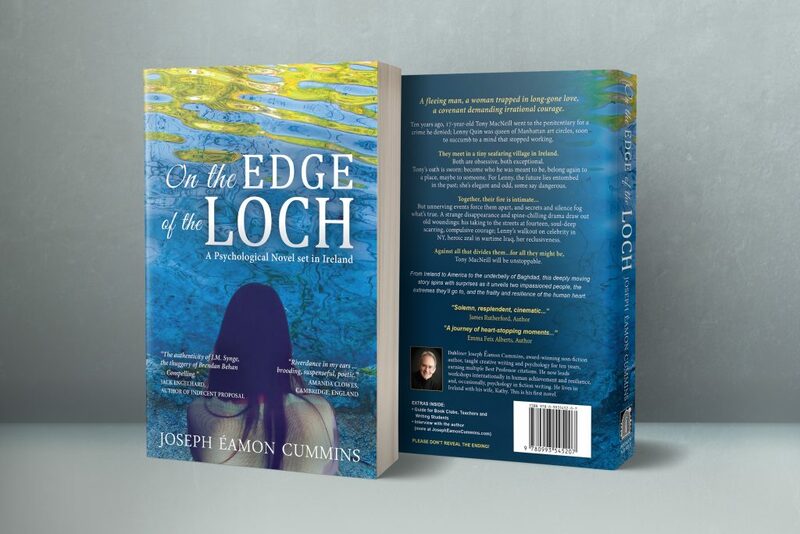 As with all psychological novels, one of the biggest challenge with On the Edge of the Loch was building discrete mindsets and personalities for about ten important characters. Each must think, act, and decide differently from all others, and each must have something significant to win or lose in the plot – ‘skin in the game’, as they say. Despite my work in psychology, this was still quite a task, but an enjoyable one. I will write more about ‘getting the psychology right’ soon – of particular importance to writers, but nonetheless vital for a novel to be credible to the reader. Finally, some people tend to confuse two terms: ‘psychological novel’ and ‘psychological thriller’. They’re not the same thing, though the media often don’t seem to notice. The psychological novel explores the mental and emotional drivers of behaviour – what makes people do what they do and be what they are, and in this way shapes the storyline. The psychological thriller typically focuses on criminal behaviour, victims, police, killers, psychopaths and such like – a different genre. Both types of novel can be edgy and thrilling, just not via the same ingredients. However, usually the psychological novel requires deeper engagement by the reader; the events of the story need to be thought about – because much less is ‘told’, guessable, or apparent. Previous Previous post: All Writers Suffer Writer’s Block – Don’t They?